Written by a leading lawyer with first-hand experience of some of the toughest arguments, How to Argue is a fun, entertaining and no-holds-barred guide to everything you need to know about arguing. We all do it every day; arguing is part of life. We can do it unknowingly, sometimes subtly and sometimes very explosively, but however we do it, most of us know that we argue badly. Imagine being able to face any argument free of the fear, confusion and intimidation that your opponent is probably experiencing. Imagine knowing that, win or lose, your argument has been made convincingly, confidently and without losing your temper. In How To Argue youll learn all the golden rules of successful arguing and explore many of the situations in life and work where arguments are most likely to happen. 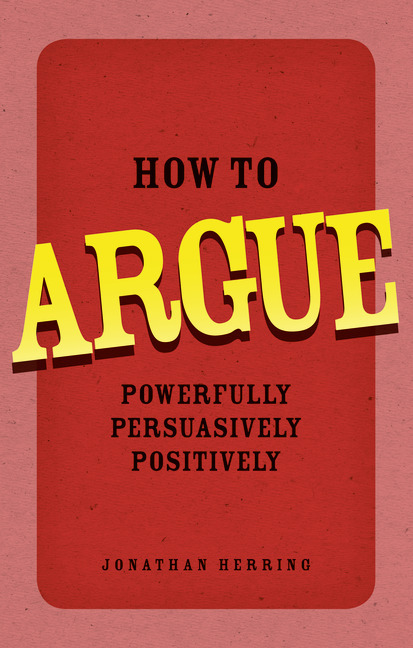 This is the definitive guide to how to argue persuasively, positively and powerfully - in any situation.